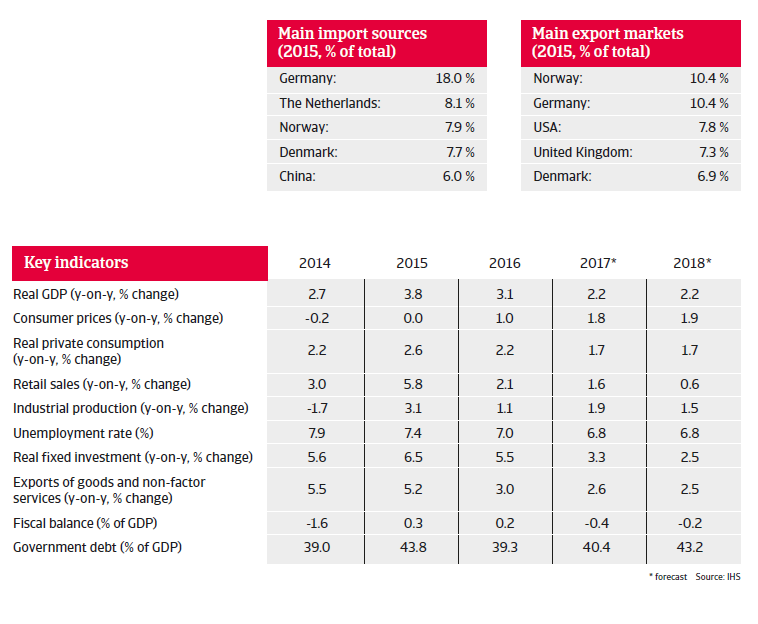 Sweden´s economic growth is expected to slow down in 2017 to about 2% year-on-year, while business insolvencies are forecast to increase slightly. 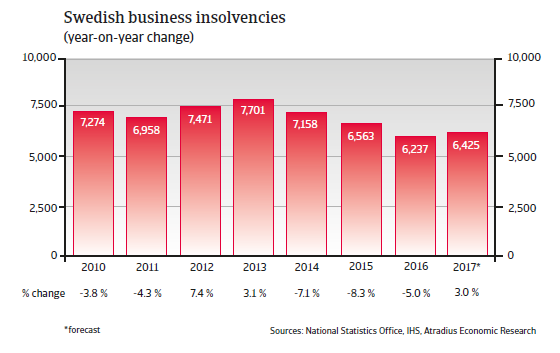 Swedish business insolvencies have decreased since 2014, with a 5% decline recorded in 2016. 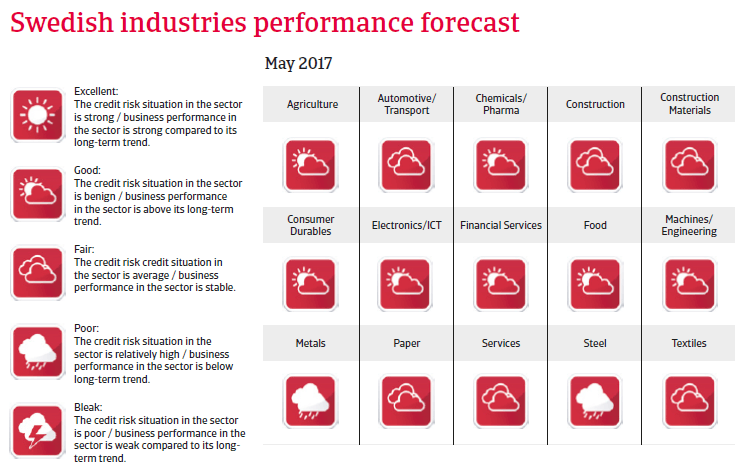 However, in 2017 a turnaround is expected, with a 3% increase forecast. The Swedish economy is forecast to grow 2.2% in 2017 after increasing 3.1% in 2016. 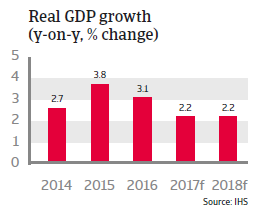 Supported by negative interest rates, both household consumption and investment growth are expected to continue, although at a lower rate than in 2016. In order to combat deflation and to weaken the currency, the Swedish Central Bank has repeatedly lowered the repo rate since July 2014, which has been -0.5% since February 2016. 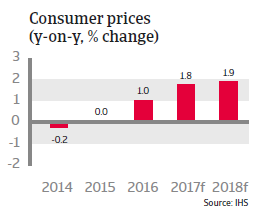 Inflation picked up again in 2016 and is expected to increase 1.8% in 2017. The expansionary monetary policy has driven investments and asset prices.